Poster one of my students made. Isn't she clever? As an avid reader, I have always urged my students to celebrate banned books week by reading something someone else has deemed "wrong". As the book club sponsor, we celebrate the week by hanging up posters and having a "read-in". 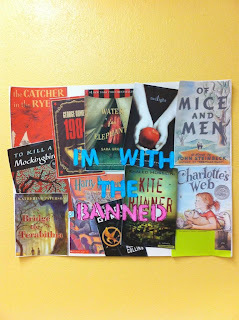 Earlier in the week, I posted my thoughts on banned books week. You can read that post here. But I also wanted my students to discuss their feelings on banned books week, since they are the ones it seems to affect most often. So I encouraged by book club members to jot a few things down, and three of them participated with coercion gladly. Personally, books are my escape from reality. Something I hold dear to my heart. I love to lose myself in a good book. Shock value is one of the best parts of the books I read. The thought of people I don’t know restricting me from reading something purely because they find it offensive is disturbing. People should be able to read what they want without “the man” trying to control them. So many amazing books that have affected my life have been banned in schools, which is truly a shame. Hunger Games, Harry Potter, and Perks of Being a Wallflower are all great books that have been banned in some schools. Hunger Games, for example is a riveting book, and though some people might find it offensive, I loved it, enjoying the absurdity of it all. I mean really, who doesn’t like a good book about children fighting to the death to avoid starvation? The point is I read all three of the Hunger Games books and I’m just fine. I’m not shooting arrows at people or trying to bring down a corrupt government. It was my choice to read that book knowing its theme was kind of morbid and I value that it was MY CHOICE, not someone I’ve never met deciding whether or not I could handle it. Banning books is banning knowledge and growth which OBVIOUSLY is wrong. I will keep reading banned books because that is my right and I truly do value it. 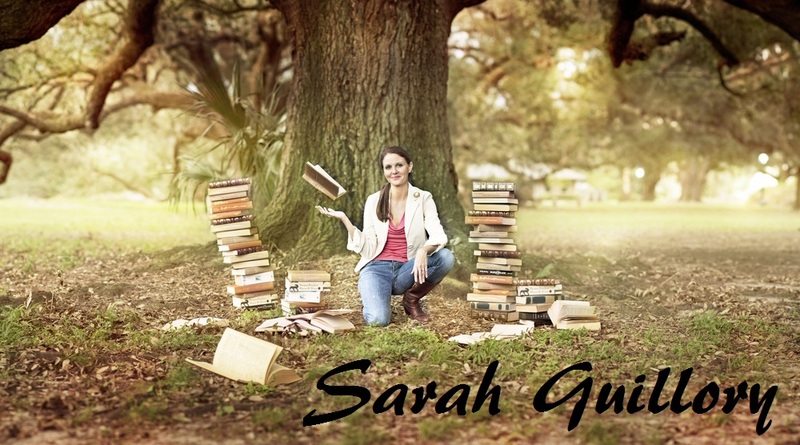 I really like books. I mean, I really, really like them. As in, if my best friend and the last set of Harry Potter books were dangling over a cliff, I’d totally save my best friend, but only after at least five minutes of an internal debate and possibly making a pros/cons list. There’s a point to this post besides my love affair with novels, and I’m getting there, I promise. Don’t keep someone from the beauty of books. Just don’t do it, man. So, Happy Banned Books Week! Go read something wonderful.